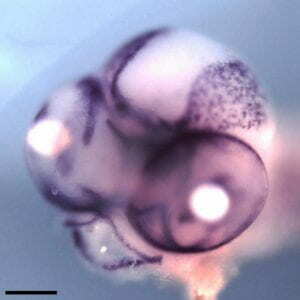 Stem-cell driven, periodic tooth regeneration. Co-evolutionary, co-developmental dynamics between teeth and taste buds. Early specification of the forebrain vs. eye field from the neural plate. 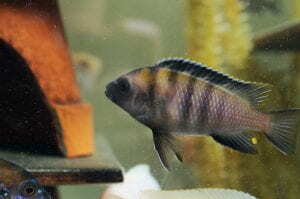 To carry out our research, we raise cichlids from Lake Malawi at Georgia Tech. We invent automated assays to quantify behavior, we sequence genomes and transcriptomes, and we collaborate with computational scientists, engineers and colleagues working in zebrafish, mouse and human. Members of the lab are inquisitive, keen to learn new things by working together, compelled by mechanism and comparative approaches, and motivated to learn from falsified hypotheses. York, R. A., Patil, C., Abdilleh, K., Johnson, Z. V., Conte, M. A., Genner, M. J., … Streelman, J. T. 2018. Behavior-dependent cis regulation reveals genes and pathways associated with bower building in cichlid fishes. Proceedings of the National Academy of Sciences, 201810140. An, Z., Sabalic, M., Bloomquist, R. F., Fowler, T. E., Streelman, T., & Sharpe, P. T. 2018. A quiescent cell population replenishes mesenchymal stem cells to drive accelerated growth in mouse incisors. Nature Communications, 9(1), 378. Baran, N.M., McGrath, P.T., Streelman, J.T. 2017. Applying gene regulatory network logic to the evolution of social behavior. Proceedings of the National Academy of Sciences, 114(23), 5886. Bloomquist, R.F., N.F. Parnell, K.A. Phillips, T.E. Fowler, T.Y. Yu, P.T. Sharpe and J.T. Streelman. 2015. Co-evolutionary patterning of teeth and taste buds. Proceedings of the National Academy of Sciences, 112, E5954. Brawand, D., C. Wagner, Y.I. Li…(69 authors)…J.T. Streelman*, K. Lindblad-Toh*, O. Seehausen* and F. DiPalma. * 2014. The genomic substrate for adaptive radiation in African cichlid fish. Nature 513, 375. *indicates co-corresponding authors. Sylvester, J.B., C.A. Rich, C. Yi, J.N. Peres, C. Houart and J.T. Streelman. 2013. Competing signals drive telencephalon diversity. Nature Communications. 4, 1745. We are recruiting! Prospective postdocs and graduate students can contact Professor Streelman (todd.streelman@biology.gatech.edu) to learn more about opportunities in the lab!